Procter & Gamble (PG:US) is one of the largest companies in the world and has been paying dividends for 121 consecutive years since its incorporation in 1890. With that said, you could stop right there and make a strong case for owning this stock. However, there is more to P&G than riding on coattails of history. You know what they say about past performance, it’s in the past. So, I’ve chosen to look ahead. In doing so, I’ll share a few reasons why I bought this stock earlier this year. Given this diverse product line, it is not hard to see why P&G is a dominant force in the consumer industry. Going-forward, I do not see this model changing. If anything, the demand for its products will only increase around the world. One of the key growth areas for P&G is emerging markets. P&G is smart to focus in this area – developing markets make up about 80% of the world’s population. Procter & Gamble already has a strong market share in many regions of the world: Central & Eastern Europe, Middle East & Africa Region, Latin America and Asia. Over the last couple of years, P&G has announced it will keep its focus on emerging markets, opening many new manufacturing facilities outside developed markets. CEO Bob McDonald was quoted saying he wants P&G to grow sales in China and India to reach 1 billion more customers by 2014. This statement was made a couple of years ago. That’s an aggressive strategy. P&G’s market share has been on the rise in the developing world and will likely continue for decades to come, as consumer demand in the rest of the world outpaces North America. North America accounted for 44% of total sales in 2009 or $34.8 billion. Developing Markets accounted for 30% of total sales in 2009 or $23.7 billion. Western Europe accounted for 22% of total sales in 2009 or $17.4 billion. North East Asia accounted for 4% of total sales in 2009 or $3.2 billion. Quarterly dividend is $0.525 USD. Dividend payout ratio is about 60%. 5-year average dividend growth rate is just over 11%. Total return over last 5 years is about 20%. In 2011, P&G increased their annual dividend for the 55th consecutive year. Long-term potential is not without long-term risks as well. P&G depends heavily on global commodities for product manufacturing. Higher commodity costs will eat into profits. 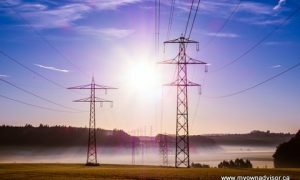 To counter this, the company will need to continually improve its manufacturing processes and become more efficient as rising paper and natural gas prices occur over time. That said, Canada is well positioned to provide those commodities, so there is good reason to be optimistic. Procter & Gamble also faces competition; they are not the only big player in this space. While P&G generates much more revenue than competitors like Unilever (UL:US), Clorox (CLX:US), Colgate-Palmolive Company (CL:US) and Kimberly-Clark (KMB:US), and these companies have many strong brands in their own right. When you’re on top, there’s only one direction to fall. As the largest and more importantly, because of the broadest portfolio of household, health and beauty products in the world, P&G now has its place in my dividend-stock portfolio. Unless significant changes to this organization occur or unless there is a significant dividend cut, I won’t be selling my position. This is a stock to buy, hold and hold some more. What’s your take of P&G? Long-term dividend stud or dud? 36 Responses to "A new dividend stud for my portfolio: Procter & Gamble"
Yeah, the high CDN dollar definitely helps…I wouldn’t be buying U.S. stocks otherwise. As for the 52-week high, I got PG a few weeks back, close to $63. I didn’t mind the entry point although I prefer to buy closer to 52-week lows. I suspect with the U.S. economy recovery underway, this guy will hit $70 before the end of the year. In 10 years, my buy price won’t matter that much. The only problem, I feel, with my purchase is I didn’t have enough to start a synthetic DRIP. I figure I’ll need a 130-140 shares for that. That’s going to take at least one or two more transactions. All in good time and I need to be patient. Do you own any P&G yourself? Own P&F and J&J and sit back and relax right? As the middle class grows do does their need for band aids and toothpaste! Solid pick up, you probably won’t win any renown for it, but that’s the sort of investing that leads to early retirement. Yeah, sit back and relax indeed and watch the dividends flow in. I took a small position 2 weeks ago. I hope that we’re right about the fact that the entry price won’t matter in 10 years! Looking 5 years back, I don’t see much change in that stock price! But eh I feel secure with it! We’re on the same plan! I own KO and JNJ as well. I don’t own BRK.B yet….never say never. How long have you owned that one, BRK.B? It’s almost of fund, that stock, since it holds so many companies! Thanks for your comment Lazy, always appreciate it. Hey gibor, where have you been? I like your choice, and choices – I own ABT and JNJ. I too, would love to see those stocks split, and that includes the new kid in town: PG. Good solid pick. Did you have other contenders that you eliminated? I am tempted by MSFT these days but their stock went up a little fast from $25 to the $30. I was thinking about WMT as well, but decided on PG. On my long-term buy list for U.S. stocks, I have more PG, until I can get it to DRIP synthetically, and Realty Income (O:US) and Duke Energy (DUK:US). I hope to own about 10 big U.S. blue-chip stocks in my RRSP. That will be enough from the U.S.
Over time, I also intend to increase my holdings in VWO, a BRIC ETF. I too, have been tempted to buy MSFT, but I told myself a long time ago, never to buy tech. I’ve read so much that says to avoid this sector and stick to utilities, real estate and consumer goods from the U.S. Dare I say this, but they are a country of predominately consumers not producers. The problems with stocks like JNJ, PG, KMB, partially ABT ….they are too expensive and my dividends are not enough even for 1 share DRIP. I took a position in BRK.B at 71$ in late september 2011. Then sold a portion of it at 77$ to buy some KO (and to learn about the fees associated with CAD/US conversion!). Holding on since then. The stock seems to underperform lately though! Maybe they’ll give a small dividend someday. KO has been a great holding for a very long time. I own a few shares as well, and don’t intend to sell them for at least another 20 years. MO… I don’t get it! Why this stock’s performing THAT well!? I mean it’s cigarettes, smokeless products and cigars. +20% in 1 year, 5,4% dividend = impressive. I’m really thinking about it ! MO it’s also some alcohol 🙂 It perform good because people smoked, smoking and will smoke. And MO is the best of smokes = Marlboro. Well … ex-dividend date was a good entry point for me. I bought P&G back in 2009 at $57.90. I was torn between PG and UL (Unilever), so bought 100 shares of both. They have different consumer markets with UL directed at emerging markets, South America and Eastern Europe. Since then, UL has well-outperformed PG (~110% vs. ;60%) and with a better yield. But wouldn’t change my position. The two provided better diversification. Can’t understand why DRIPs so popular. I don’t like odd lots and the couple of per cent saved doesn’t compensate for having to buy more shares. Give me the cash and I’ll buy more of what I want. Other US holdings: MO, CAT, MCD, CMS (beats Duke out of the ballpark every which way), DD, RDS.B (got BP after it sank to ~$29 and switched to RDS at ~$40 because while both had slumped owing to BP’s problems, figured RDS would recover faster and it also paid a 5.6% yield) , KO and ABT. Current dividends from US stocks around $2,700, but difficult to get anything with that and must always pump in more cash to get a board lot. I look at it as a forced way of saving, but that’s just me. I think owning both is a great move! I just wish I had 100 of each! Regarding DRIPs, I like them because I can check my brain and not worry about what to do with the cash. On the other hand, I’m starting to take some cash from my positions to invest in other companies, where my diversification is a little overweight in some sectors, like Canadian financials. KO and ABT are great stocks, but I’m biased since I own them as well. Any thoughts on the pending ABT split into 2 companies? Do you pay withholding tax on RDS.B? I hold RDS.B in my RSP, so tax isn’t held back at source. There would be tax payable in the U.S. were it not within the RSP. RDS.A has tax withheld at source in the Netherlands before it reaches the U.S. as an ADR (American Depository Receipt). RDS.B is definitely the better choice of the two. Yes, Duke is by far more popular than CMS Energy, but compare the performances over the past 10/5/3/2/1 years. In those time spans, the respective returns have been (CMS first) 14% vs. minus 17%; 50% vs. 42%; 122% vs. 100%; 52% vs. 46%; 20% vs. 22%. So, since 1992 DUK has outperformed CMS only over the past 12 months, and then only by two percentage points. Their shares are close in price and DUK’s current yield is 4.6% against 4.4% for CMS. But when I bought CMS in 2008, DUK was quite a bit more expensive than CMS and my instinct told me it was overpriced and CMS had more room to grow. DUK is the giant in the energy sector and most advisors flock to it. They should look a little deeper and see what else the sector holds and I feel that applies to much of the advice that appears in print. Just look at JNJ — everybody raves about it because of the dividend. But JNJ isn’t the only company to steadily increase its dividend. Its price-growth performance over the years tells a different story. There are simply better investments out there, I believe. With my $2,734 from U.S. dividends, today I scraped up another $249 (+$9.9. for the commission) and bought another 100 shares of MO at $29.83. The stock pulled back today because it was ex-dividend. I tried to get it two weeks ago at $29.91 and missed out, and it shot up to $30.58. Today’s low was $29.78. I would like to have got something different (GSK or KFT, perhaps), but it would have meant adding another $1,000+ or so. Almost $3,000 from U.S. dividends is very impressive. I won’t own MO, because I consider it too much of a sin stock for me. Because I enjoy my beers however, I’m not against owning a beer company someday, like TAP or a premium drink business like Diageo PLC. How many dividend-payers to do own Jay and how long have you been investing in dividend-paying stocks? I have been investing in dividend stocks only for about 11 years. I started with $18,000 and now have just over $150,00. The $2,700 in dividends had accumulated over quite a few months, so I let it sit there until I can get another good stock that can give me (I hope) both growth and good yield. I research my “buys” to death, before putting in a bid and one of the main rules I have is never to chase a stock. Either I get it at my price or I let it go, and I find that discipline pays off, because you can get burned chasing a stock as it gets away from you. It’s like with Altria when it popped over $30.50. I asked myself if the stock would never see $29.90 again. And, of course the answer is “unlikely.” I was looking for yield of 5.5 percent and the only way I could get that was to get it around $29.80, so I bid at $29.83 and sat back and waited. I see that since then, MO has touched $29.82, so my call was fairly good. They say you can never buy at the bottom or sell at the top, and that’s pretty true. If you can manage that it’s sheer luck. But you can get pretty close. Part of my planning is to use dividend cash on the investment side to buy stocks that I move onto the TFSA and, eventually, when they’ve moved enough, I put them into the RSP that brings me a tax refund, and with that money I buy another stock that I eventually switch into an RSP, and the whole process starts again. Not everyone may agree with that, but I like it because if I get a stock at, say $2,000, by the time I switch it from the TFSA into the RSP, it may be worth $2,500, so the tax refund is better than if I buy within the RSP itself. The accumulating dividends within the RSP will get me another stock. Sometimes, I’ve moved the dividends out of the TFSA back to the investment side to get a stock and the following year moved the stock and accumulated dividends back to the TFSA. That’s a big reason why I don’t follow the DRIP philosophy. That may work for some, but it’s not for me. My wife and I have annual room of $5,000 each. At one point we had shares in 56 companies. I considered it my own little mutual fund without MERs. But it became quite a headache to handle, so I whittled it down to about 32, I believe it is and, of those, I think about six are over 100 per cent, and I’ve sold about seven others that doubled and replaced them with others. The $2,700 in dividends is a tidy sum. I agree, it’s so hard to time the market or as you put it – buy at the bottom or sell at the top. I more or less buy when I’m comfortable with the price. If I feel like I’m going to overpay, I don’t pull the trigger regardless how bad I want the stock. Your comment about Altria and then buying a pharma company gave me a good chuckle. Not surprisingly I guess, we own many of the same Canadian companies. I suspect there are only about 50 companies really worth owning in Canada, that fit the bill of established companies that pay dividends and raise dividends consistently over time. I would like to own BPO, CNR, CNQ and PPL at some point. 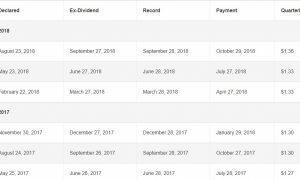 Over time, my goal is to have most of my dividend portfolio in my TFSA, and the rest unregistered. I’ll keep some U.S. dividend-paying stocks, only in my RRSP and keep the major players in a RRIF until I wind that down. Hopefully I’ll always have my health to see those days! 56 companies is great, you’re almost an indexer! My goal is to own about 40 Canadian dividend-payers and 10 U.S. dividend-payers. I’m about half-way to my total and my retirement plan is starting to take some nice form. Congrats on your great plan. I hope you continue to stop by the site often and drop me a comment. That’s $150,000 — I dropped a zero…. You’re right about MCD and KO. MCD is a heckuva good investment. Drive down any major highway in the States and there’s a Macdoodle’s at every exit. You might hate the burger, but you’ll eat anything when you’re hungry and need to stretch your legs after hours of steady driving. And look at the burger joints in Canada. At lunchtime, they’re packed with teens — at least they are where I live — with cash from their parents who haven’t given them a packed lunch. A captive consumer, I’d say. As for KO. I steer clear of that (Coke) in the glass, preferring Canada Dry (owned by Coke). My conscience is clear and, hopefully, my liver. Nice to read your response. We seem to be following the same investment philosophy. I agree with you that the truly good dividend-paying stocks in Canada are few and far between. You’re heading for 50 stocks. Good luck with that. I found the fun was getting them, but it was a lot of work once I got them. Keeping track of them all, plus upsizing our house, convinced me to cutback on them. That’s when I sold those that had done really well. This is the first time I’ve been on a blogging site — if that’s what this is, so perhaps you could explain to me how it works. I get into it by Googling “Carrick and Richie Rich”, as I first saw it on the Globe’s website. But there may be a different way to access it and if there is, perhaps you or someone could explain it to me. That shows a pretty heartless attitude, but it got me to thinking. If he can do that with his son, why am I holding on to stocks that don’t earn their keep? I set up a series of groups: Good Growth-Good Yield; Good-Growth-Medium Yield; Good Growth-Low Yield; Medium Growth-Good Yield … you get the idea. Then I categorized all the stocks, put them into their respective group and checked them at the end of every month to see if, for example, a “medium growth” stock had performed well over the past 30 days. If it hadn’t and it dropped to the “Low Growth” category, I highlighted it in red and that alerted me for the next month. Conversely, some stocks might move up a category, either because of their growth or improved yield. The system worked wonders, believe me. Over about six months I housecleaned and cleaned out the dead wood without feeling an ounce of sympathy. The sore point was that with 56 stocks it was a lot of work and I wouldn’t recommend it to anyone if they want to keep a balanced social life. I haven’t done it, myself, for several months now as I’m busy with the new house. By the way, at one point I did have 100 shares of GSK but sold them to raise some cash for the new house. In six months they went up 4 per cent and I received $104 in dividends. I still think they’re a good investment. Thanks again for another detailed comment! Yeah, we seem to be into the dividend-payers. I just think it’s such a great way to have some passive income. It takes work for sure. I only own about 25 dividend-paying stocks, if you include REITs in that bucket and U.S. stocks, but I really enjoy watching the portfolio grow. I started out with 0 dividend-payers 5 years ago. I’ve really tried to grow the portfolio. As for the blog, that’s exactly what it is! You can also subscribe to every article I write, by using the large green button at the top right of my site, it’s right above the BMO ad. I encourage you to do so!! Rob Carrick has been very kind to me, referencing a few of my articles in the Globe & Mail. I owe him a beer when I see him. I like your strategy of organizing your stocks, but my plan is a bit different. Unless there is a significant change in the business model or a major dividend cut, I’m not selling any stock. If anything, I will buy more when the market tanks. So far, so good, but it could always blow up on me. My goal is to make about $30,000 in dividend income per year to supplement my other retirement assets. I think I’m about 20 years away from reaching that goal. I hope you continue to follow my journey. You puzzle me. You wrote, “I hope you continue to follow my journey,” (on investing. Why, may I ask, would I, or anyone else, want to follow your journey? I — and most other people I know — have their own investments to take care of, not worrying or studying someone else’s. Of course, if you have some magical investment knowhow to impart to the masses, we’d be interested to hear you out. But unless you can improve on taking $18,000 to $150,000-plus in 11 years, then we have nothing to learn from you.